The Shot Tower in Alexandra Parade Clifton Hill was constructed circa 1882 for Richard Hodgson. Alfred Harber and Simon Hughes were the owners in 1887 before Walter Coop, from the well-known Melbourne shot manufacturing family, purchased the premises in 1896. 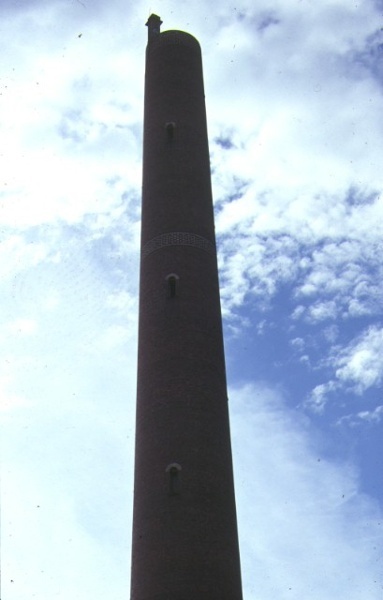 The Shot Tower is a brick tower 80.1 metres high,circular in plan and resembling a tall chimney. The walls are punctuated at regular intervals by semi-circular arched windows and decorative brick bands. The shaft is finely decorated around the openings, and at various levels, with polychrome patterns, and is topped by a small pavilion. The Shot Tower is of historical and architectural significance to the State of Victoria. The Shot Tower is of historical significance as a fine example of a rare and distinctive building type and as evidence of an early industrial process. 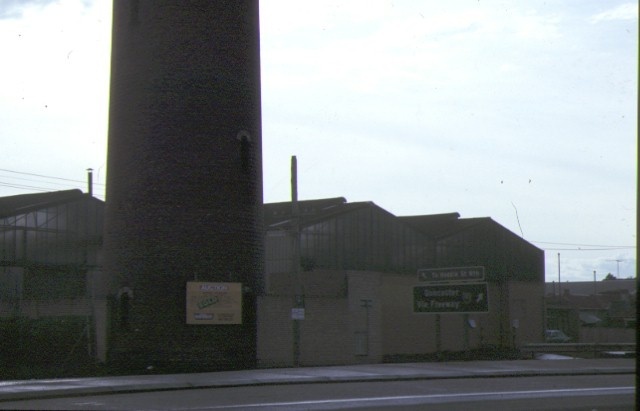 It is probably the largest shot tower in Australia and is certainly taller than the tower now incorporated in the Melbourne Central development. It is also the earliest of the two surviving Victorian shot towers. 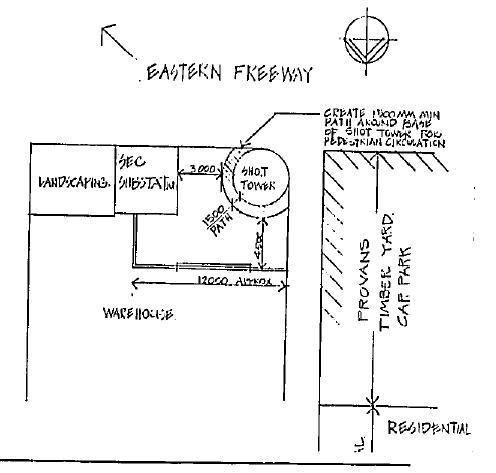 The tower provides tangible evidence of the process of lead shot production. Its form reflects the shot production process: the shot was produced by dropping molten lead through sieves at the top of the tower into water at the bottom. The height of the tower was necessary to allow the shot to form correctly before reaching the bottom. The Shot Tower is of historical significance for its long association with the Coop family, who had extensive interests in shot manufacture and smelting ? they owned both of the two remaining towers in Melbourne ? and as a local landmark for more than a century. The Shot Tower is of architectural significance as a particularly fine example of an industrial building of the late 19th century. The tower is largely intact and in good condition, a testament to the high quality of the original brickwork. The decorative brickwork is indicative of the pride and investment that went into this industrial structure and as such is symbolic of the significant economic and urban expansion that occurred in Melbourne during the 1880s. to the extent of all of the whole of the Shot Tower building and the land in Volume 8384 Folio 960 to the extent of 1.5 metres of circulating space surrounding the base of the Shot Tower. 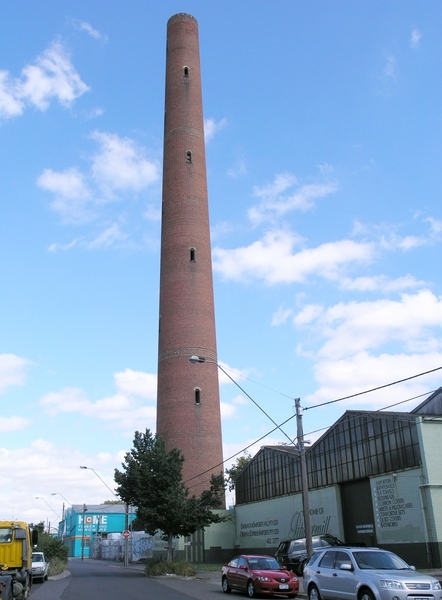 The shot tower was built in 1882 for Richard Hodgson to manufacture lead shot for a munitions factory in Deer Park. Shot was made by dropping molten lead from the top of the tower into water at its base. Hodgson, Harber & Hughes made shot here until 1896; then the Coop family made shot here until 1947.